Do Geyser timers really work? The Answer At Last! You are here: Home / Facts and Fiction / Do Geyser timers really work? The Answer At Last! Geyser timers do Save Energy. There has been much ado about whether geyser timers actually work effectively to save your energy. Russell Brown , an independent energy consultant published this feature below on the Full Circle Mag site and has finally put the speculation to rest. This is an excerpt from the article and also addresses the geyser controller aspect. What is a geyser timer? It is an electronic (digital) timer or an electro-mechanical timer designed to switch your geyser on and off during specific time periods. 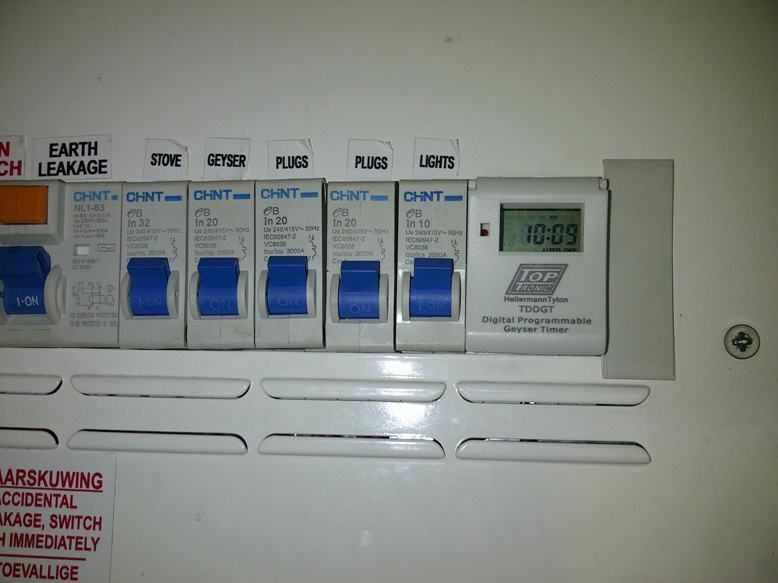 Geyser timers should be able to maintain time (with a backup battery) during power outages and should meet the specification of the geyser, i.e. the correct amperage for the kW rating of the element. When do geyser timers work the best? You need to understand that geyser timers should be used effectively by knowing your water usage patterns. The most optimum saving that can be achieved by a geyser timer is typically heating of water for two hours a day for one period, i.e. once a day for two hours – 4am to 6am with usage immediately at 6am. Tests show that around 69% savings can be achieved with this usage pattern. If you heat water for two time periods – from 4am to 6am with usage at 6am and then 5pm to 7pm with usage at 7pm – savings move to around 37%. A geyser timer in a DB Board. The difference between geyser timers and geyser controllers. 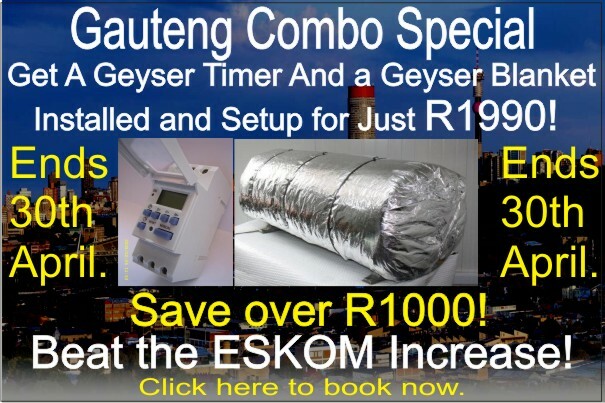 Click here to find out more about saving energy with geyser timers and to book your geyser timer installation from Saving Energy or get a quote.